In the season of high school reunions and unlimited buffets, it's almost impossible not to gain a few pounds. Let's be real here: Will you really say no to honey-drenched Christmas ham? Nope? Then you need this guide in your life. 1. Stick to recommended serving sizes. A study from Cornell University's Food and Brand Lab showed that people actually eat 100 to 200 calories more than what's healthy based on labels which results to weight gain. Limit your serving sizes and savor your food because it takes the body 20 minutes to realize it's full. Before heading to the buffet table remember to get only fish servings the size of a checkbook, lean meat the size of a smartphone, greens the size of your fist, and fruits the size of a baseball. 2. Eat what you can burn. Rule of the thumb: If you want to lose weight, you should burn more calories than what you take in. 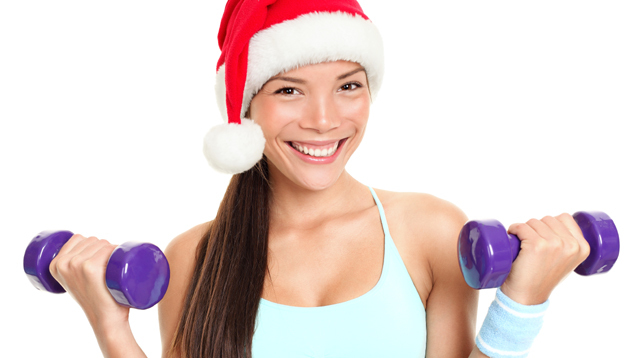 To maintain your figure for the holiday season, make sure you exercise to make up for that extra serving of lechon you just had to get! 3. Snack more, snack less. Have healthy small meals frequently at least 5 to 6 times a day in smaller proportions. Brown University's Health Services team suggests you divide your day into three meals and three snacks with proper portion control to stay healthy and atill have the energy you need throughout the day. More parties mean more sleepless nights, and sleep deprivation can contribute to weight gain. It can also lower your immunity, making you vulnerable to sickness. The Harvard Medical School suggests that if you missed 10 hours of sleep, make sure you get to sleep early the next day or add three to four hours of extra sleep during the weekend. 5. Opt for clear versus colored drinks. Liquid calories you drink are just as fattening as the ones you eat. Avoid holiday cocktails that contain heavy cream, sweetened juices, and sour mixes. Instead, drink lots of water to stay hydrated and opt for clear alcoholic beverages like vodka. This'll help you lower down your calorie intake. Healthier alternatives: A glass of wine or a cup of tea. They're a great source of antioxidants, particularly Resveratrol and EGCG, which keep your heart healthy and your weight in check. EGCG, which can also be found in green tea, helps you burn calories the natural way. No wine or green tea? Get your dose of antioxidants via a food supplement like Slenda, a nutraceutical that offers long-term benefits towards weight loss and weight control. 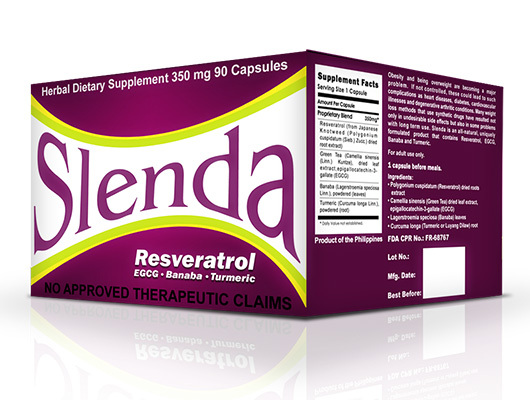 Slenda is available in all leading drugstores nationwide at 1,080 SRP. Want to try it out for yourself? Get a 10-day free trial by registering at gonatural.com.ph using the code BESLENDA. For more deets on Slenda, follow the official Facebook page or get into their textline by texting COSMOName, Address, Birthday, Email Address and send to 0920 919 2929. You may also check out Go Natural's Facebook account and website to learn more about Slenda.